With all the delicious, seasonal foods available this time of year, Kara and I have made a habit of hitting up the farmers market as much as possible. Recently, I’ve been really happy with the quality of tomatoes that we’ve been picking up. I have been a fan of the wines of Valpolicella for a couple of years now (thanks in large part to Jonny Brandy for telling me to check this region out a while back). While this area is probably more well-known for its higher-end Amarones and Ripassos, the entry-level Valpolicellas offer a great quality of wine for the price. 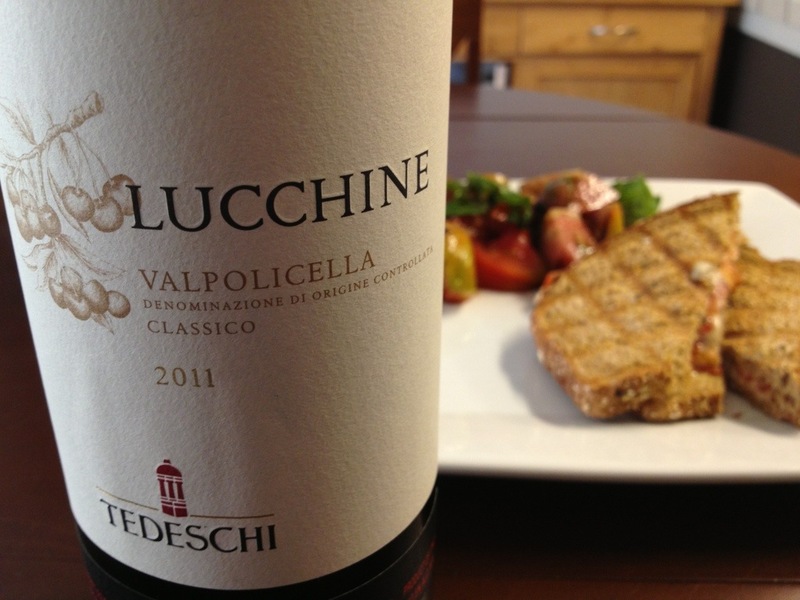 I picked up the 2011 Tedeschi at Vintage Wine Merchants in San Jose for only fourteen bucks! Nose: While the nose was quite tight when I originally opened the bottle, there were some pretty, woodsy and dark berry notes with subtle hints of bright cranberry. Taste: This wine is straight earthy! Tons of soil, forest floor, and crimini mushroom flavors took center stage. There were nice notes of cranberry fruit on the mid-palate, which gave way to a long, lemony, acidic finish. As the wine opened up over time, some serious, dark, dried fruits began to take over. Score: While the wine was a good representation of Valpolicella, it came off as a bit too thin on the mid-palate. This is a solid 88-pointer that is worth checking out. 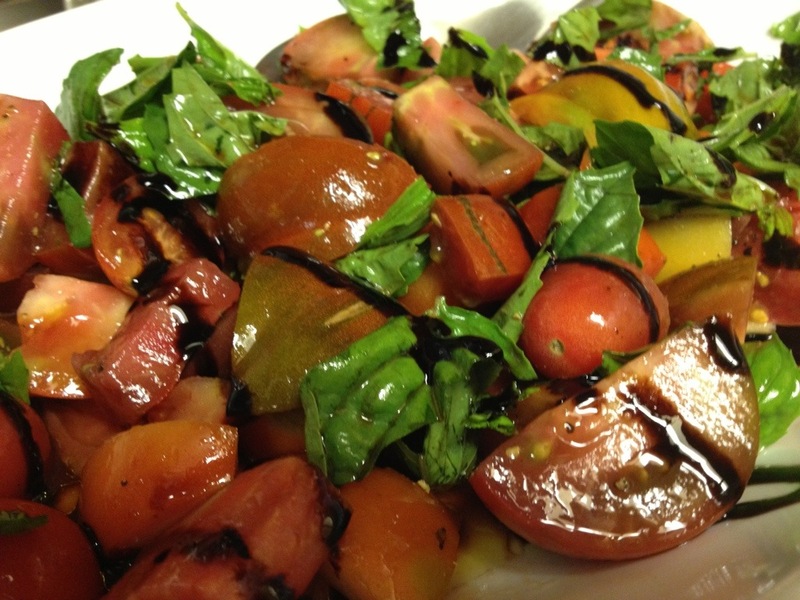 Food Pairing: The tomato salad was very fresh and vibrant. When paired with the wine, I noted a nice expression of cranberry and black pepper flavors. 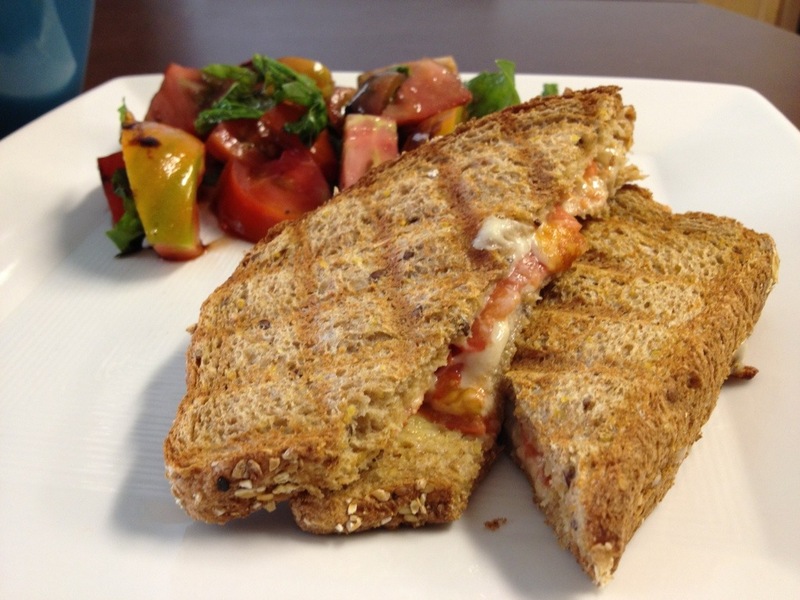 The buttery and starchy bread from the panini did a good job of highlighting the earthy flavors from the wine. Pair yourself a wine with a tomato dish. Tomatoes and wine both come from vines. What’s your favorite fresh tomato-based dish? What wine would you pair with it? Leave a comment, and let us know. This entry was posted on August 6, 2013 at 3:24 pm and is filed under Food and Wine. You can follow any responses to this entry through the RSS 2.0 feed. You can leave a response, or trackback from your own site. a brushetta and a glass of a fresh and light red wine. It would brighten any day!